Cape Town - Former Springbok coach Andre Markgraaff is worried about the skills levels of South Africa’s top players. 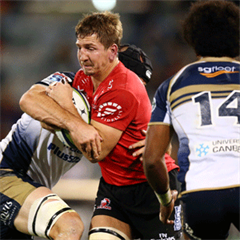 Things are looking bleak for the SA teams in this year’s Super Rugby competition, with no local team looking like serious title contenders at present. If it weren’t for the requirement of each of the three Conference leaders automatically occupy the top three berths on the overall table, the best-placed SA franchise - the Bulls - would actually lie sixth. They instead unconvincingly find themselves in third, with the high-flying Hurricanes and Australian pace-setting Brumbies ahead of them, but should really be behind all of the Chiefs, Highlanders and Crusaders as well. "We are too pattern-bound, even from primary school level. The only saviour is that we have so much talent in the country," Markgraaff told Netwerk24. The SA teams are struggling on attack, which shows in the try-scoring statistics. 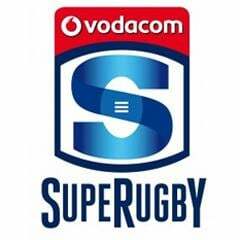 To date, New Zealand teams have scored 90 tries (in 35 matches), Australian teams 70 (34 matches), and SA teams 65 (37 matches). Markgraaff said if the rules regarding driving mauls are changed, then South African teams would be in even more trouble. "The application of the law is farcical. We’d be in real trouble if the laws are changed. What would be left for us on attack?" Markgraaff, 59, coached the Springboks between 1996 and 1997, but was forced to quit after making controversial racial statements.